Lynne McTaggart is a brilliant author. I fell in love with her mind when I read her book The Field. She has an incredible way of transforming difficult information from physicists so that we get it. We study The Field in our Intentional Filmmaking Class where we intend our future with the science found in Lynne’s book. One filmmaker, Diane estelle Vicari, took my class and went on to study with her. “We’re not these kinds of little billiard balls just independently operating according to fixed laws in time and space but we are one giant connected entity, thanks for a thing called “the zero-point field” and the zero-point field is essentially a quantum energy field that unites us all in its invisible web. “I’m at my heart an investigative reporter, very interested in fact-finding and evidence and so the reporter in me was sort of saying, well, are we just talking about shifting a quantum particle or are we talking about curing cancer with our thoughts? How far can we take this? One physicist proved this in his experiments. “The amazing Fritz Albert Popp was absolutely brilliant. He discovered accidentally, when looking for a cure for cancer, that there is a very subtle current of light that’s emanating from all living things and moreover, that other living things are beaming back synchronistically. Are we Vibrating Tuning Forks? “I believe we may be a tuning fork resonating with other things at the same frequency. Maybe through these ‘tuning forks’, we set a resonance frequency for what we want and we attract it to ourselves through our relentless focus and faith. “You see this all the time, where someone achieves something difficult and we often say ‘He willed it so.’ Or you may know people whose focus allows them to bring the future to the present so that doors open were there were no doors before. I want filmmakers to consider using some of this brilliant science. For example, you could see your film finished and envision yourself at the end of filmmaking at a major screening room and hearing a standing ovation for your film. This nightly vision could begin to attract what you need to make the film. That might be money, goods, services, connections, mentors, strategic partners, all of the things you need to make a film. You attract them with your vibration that comes from your vision of the future as you want it to be. Who knows? I do believe that we are all vibrating strings, so perhaps it is all about finding those people and things who are vibrating with you by your relentless visions. 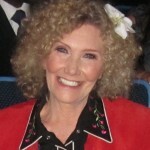 Carole Dean is president and founder of From the Heart Productions; a 501(c)3 non- profit that offers fiscal sponsorship and the Roy W. Dean Grants for independent filmmakers. She hosts the weekly podcast, The Art of Film Funding, interviewing those involved in all aspects of indie film production. She is also the author of The Art of Film Funding, 2nd Edition: Alternative Financing Concepts. See IMDB for producing credits. This entry was posted in Uncategorized and tagged "The Field", Intentional Filmmaking Class, Lynne McTaggart, manifesting by Richard Kaufman. Bookmark the permalink.